June 2014 Art Walk event. 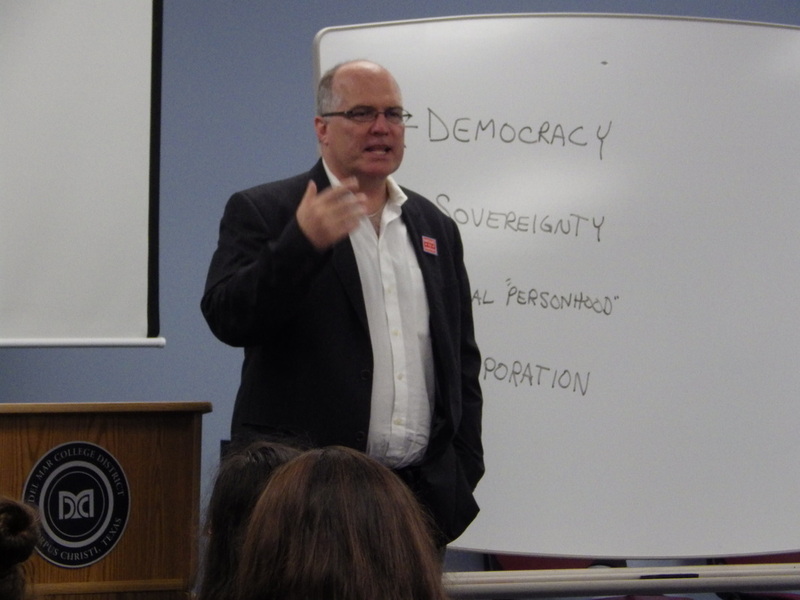 Move to Amend representative and former Green Party Presidential candidate David Cobb spoke at Del Mar College. 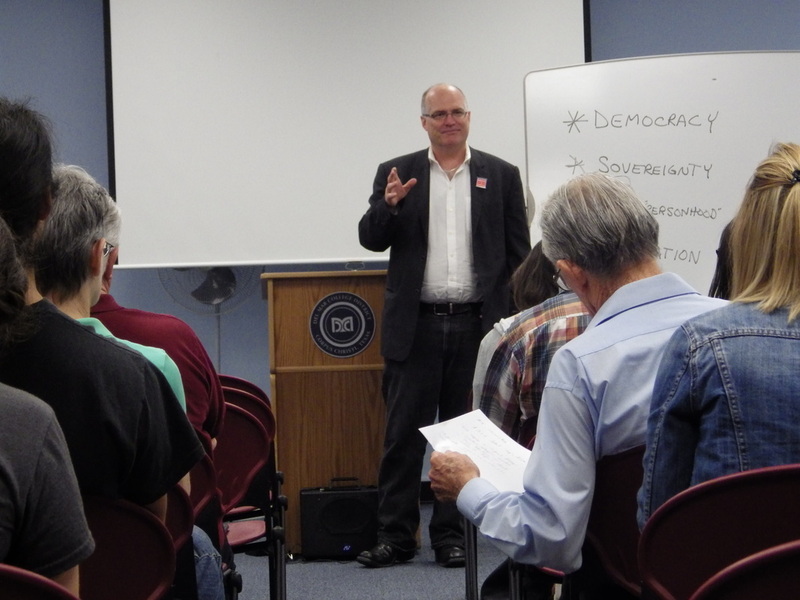 The talk on the history of corporations, corporate personhood, and money in politics was cosponsored by the Corpus Christi chapter of the League of Women Voters, the Del Mar College History Program, and Move-to-Amend Corpus Christi. Approximately 70 people attended. Each month at Art Walk, we gather signatures on petitions calling for a Constitutional amendment. We plan to reach out to groups (such as the Hispanic, Black, and Asian chambers of commerce) to seek their endorsement of our work before going back to our City Council. We will hold a Funeral for Democracy again in January 2014. After the Supreme Court ruling in Citizens United vs FEC Corpus Christi organizers established the tradition of holding a mock funeral at the intersection of Staples and SPID to remind citizens of the disastrous decision and how it's effecting our democracy. On Jan 18 from 4 to 6pm come out and join the mourning. Shown here is the video of 2012 "funeral"